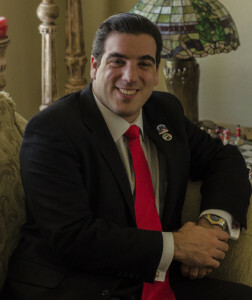 Adam Stevens is a successful Arizona businessman who has dedicated his life to his family and community. Guided by the principles of hard work, personal responsibility, and never giving up, Adam Stevens has built a reputation as someone who can be counted on to do a good job and do the right thing. Adam always puts solutions ahead of excuses and works honestly and openly with people. As a conservative Republican, Adam Stevens has dedicated his life to fighting for and implementing conservative solutions to Arizona’s problems. Mr. Stevens has also dedicated his time and money to supporting other Republicans that share his vision of limited and responsible government that respects the rights, liberties, and tax dollars of the people. One of Adam’s most important beliefs is that it is not the job of the people to pay for irresponsible government spending. He is a strong believer that Arizona’s economic troubles will be solved by the people of Arizona trusting in a vibrant and diverse free market economy that offers anyone willing to work an honest opportunity along with a government that gets out of the way. Adam Stevens can be counted on as a conservative who will fight for and win on the issues most important to Arizonans, as he has done throughout his years of political involvement. As a business owner, Adam has a diverse and impressive background. Growing up in the family manufacturing businesses in New York, Florida, and Arizona, Adam got a “hit the ground running” education on issues like purchasing materials, selling a finished product, hard-nose negotiating with labor unions, operating within a set budget, meeting payroll during slow times, dealing with government regulations that slow a business down, and building a reputation people trust. All these lessons, and many others gave Adam the knowledge and tools he would use to take a lead role in his family’s real estate company in Arizona and build it into a company that has managed, and still manages, millions of dollars in investment properties owned by clients from Arizona, other States, and around the world. Adam has also spent a lot of his time working with people who were financially knocked down during the 2007-2008 economic collapse and unable to get back on their feet during the weak Obama economy to fix their credit and get back on the road to financial security that will allow them to once again own their own home. 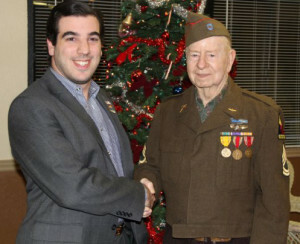 Adam Stevens is a proud volunteer who has dedicated his time and money to community organizations such as the San Tan Valley American Legion Baseball League, Operation Welcome Home, Arizona Wall Project, the National Rifle Association, the American Israeli Public Affairs Committee, LD-16 Republican Club, San Tan Valley Republicans, and the San Tan Valley Chamber of Commerce. Adam was born in Stamford, Connecticut and is a proud ASU Sun Devil. He is also fluent in Spanish, which he learned while living in Costa Rica. When not working, Adam is most likely reading a book, at the gym, or at a sports game with family or friends.